Could facial recognition technology better secure your finances? That’s the bet that MasterCard is making – this fall, the company plans to introduce a new technology that scans your face to verify your identity when making purchase, CNN is reporting. The new facial recognition program will be run through the MasterCard smartphone app. 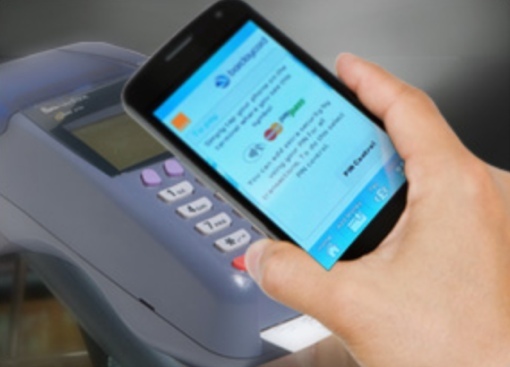 When you make a purchase at the supermarket, for example, the app will pop up and request you authenticate to complete the transaction. You can then use your fingerprint to prove your identity (on a fingerprint-enabled device like the iPhone 6) or use your phone’s camera to scan your face. Blink, and the app will map your face, verify your identity, and approve your transaction. Theoretically, the new procedure would be easier and more secure than using a password or PIN. “The new generation, which is into selfies … I think they’ll find it cool. They’ll embrace it,” predicts Ajay Bhalla, a security specialist at MasterCard. There are privacy concerns surrounding the app, however. While no photograph of your face is ever stored or uploaded to MasterCard servers, the company will still get and keep certain data about your facial characteristics for authentication purposes. The banking giant says your data will remain secure on its servers, but as we’ve seen time and time again, corporate data servers are at constant risk of compromise. MasterCard intends to pilot its facial recognition program with 500 cardholders. If the feature proves to be successful in reducing the incidence of fraud, we’ll all be taking “credit card selfies” before you know it. And if not, that’s OK – Bhalla says the company is also working on voice recognition technology so you can soon approve purchases with your voice or the sound of your heartbeat (perhaps via your Apple Watch). Haven’t we seen enough movies to know there is a way around everything?